Padmaavat which stars Deepika Padukone, Ranveer Singh and Shahid Kapoor has created ripples at the box office. Read on to know why the makers of the film have another reason to rejoice. After facing a lot of hurdles, Sanjay Leela Bhansali’s Padmaavat finally hit the silver screens on January 25. The magnum opus which was embroiled in controversies took the box office by a storm and became the highest grosser of 2018. The movie which stars Deepika Padukone, Ranveer Singh and Shahid Kapoor has completed 50 days at the domestic box office and is still going strong. The makers of the film have another reason to rejoice as Padmaavat has entered the coveted Rs 300 crore club. The period drama opened with a massive response despite not releasing in some states. Shahid Kapoor who portrayed the character of Maharawal Ratan Singh in the film, took to Twitter to celebrate the glorious run of Padmaavat. 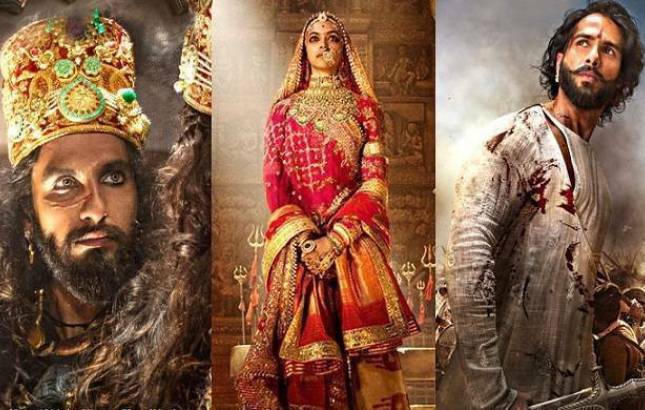 Interestingly, Padmaavat is the seventh Hindi film to cross the magical Rs 300 crore mark. Salman Khan starrer Tiger Zinda Hai which was released in December 2017, also entered the club earlier this year. The film which is based on the epic poem Padmavat by Malik Muhammad Jayasi is the highest grossing movie of all the lead actors. Padmaavat will always remain special for the leading lady Deepika Padukone. The Tamasha star has become one of the few actresses to have three of her films in the coveted Rs 200 crore club. Before Padmaavat, the Bollywood diva delivered two blockbusters in the form of Chennai Express and Happy New Year.